The printing process isn’t as difficult as you might imagine and a makeshift darkroom can be set up in a bedroom, at one end of the garage, in a cellar, in a shed or even under the stairs. All that is needed is an enlarger, three trays, a power socket and a red light. 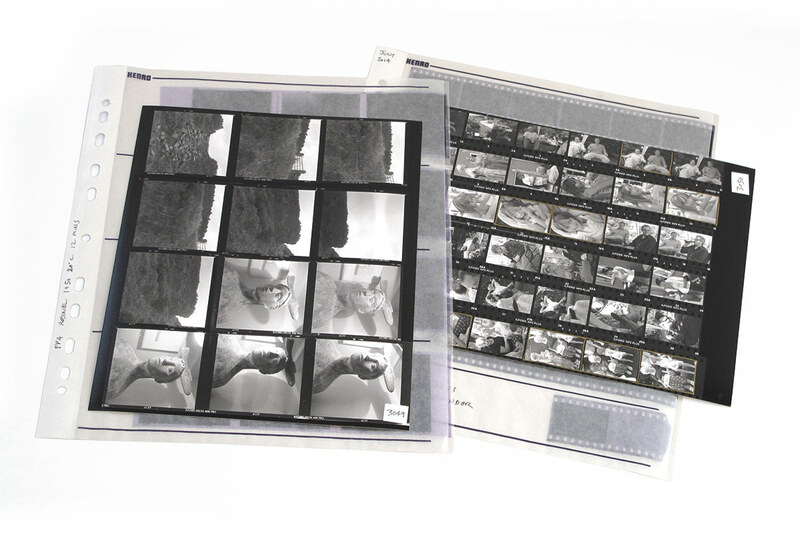 The stop and fix you used to process your film can be used for printing, but a different developer is needed for the paper. The developer can be any standard paper developer, which might come as a powder or a liquid concentrate that is mixed to the correct strength before use. 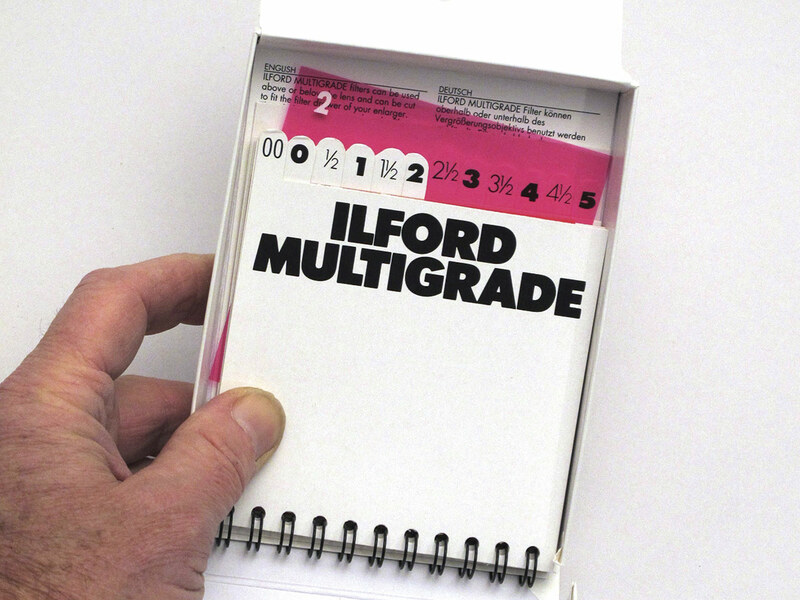 Many manufacturers offer darkroom paper, but the brand I recommend you buy first is Ilford Multigrade RC (resin-coated) paper, with either a glossy or pearl surface. The hardware for printing is easy to acquire. 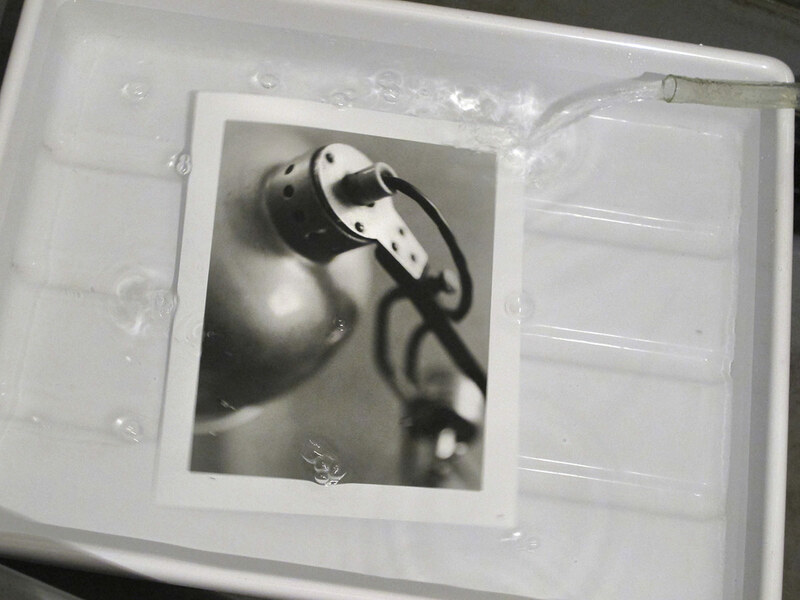 Second-hand darkroom gear is ridiculously cheap and sometimes even available for free. Ask at your local camera club if anyone has any old equipment looking for a home. Remember that you will need plastic trays for the chemicals, and flasks/measuring jugs to mix up solutions. You will also need a set of Multigrade filters for altering contrast, which are easily found online. Once you have the equipment and you are satisfied that the wiring is safe, set up an area with the enlarger and enough space for three 10 x 8in trays (roughly 1 metre x 40cm. You should have the developer nearest to the enlarger, then the stop bath and then the fix. Beyond that, you could have a big bucket of water to put your prints in to be washed after the printing session. Before you open your box of paper, remember that it is sensitive to light and will be ruined if there is any stray light. You can work with an orange or red light, but I would suggest turning this on after you have checked the room is totally dark. If you leave your printing until the evening, you will probably be able to cover the windows and cracks of light with a couple of layers of black bin-liner plastic, stuck up with masking tape. Once you have all the lights out, if you can still see across the room there is too much light. Small amounts of stray light can make a difference over a period of time. Cover any stray light from digital clocks, LEDs and electrical equipment, and keep your phone in your pocket. 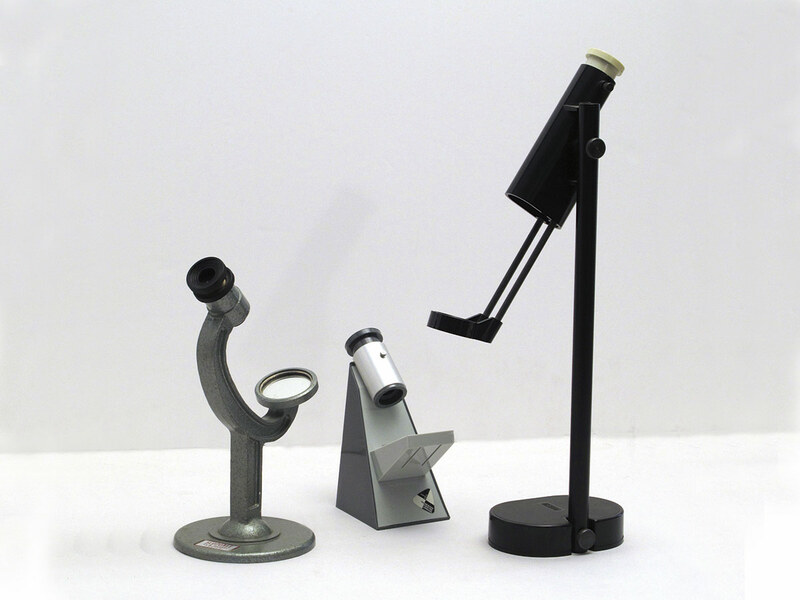 You will need a power supply for your enlarger and safe light, although a battery-powered red bicycle light can be used at a pinch, so long as it is well away from the paper. 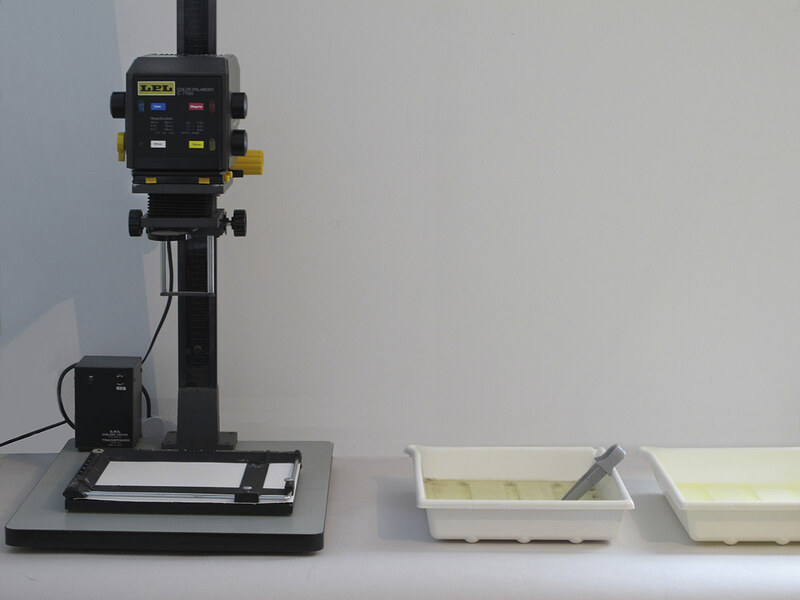 Make sure the surface for the enlarger and trays is steady. It’s no use balancing everything on boxes. 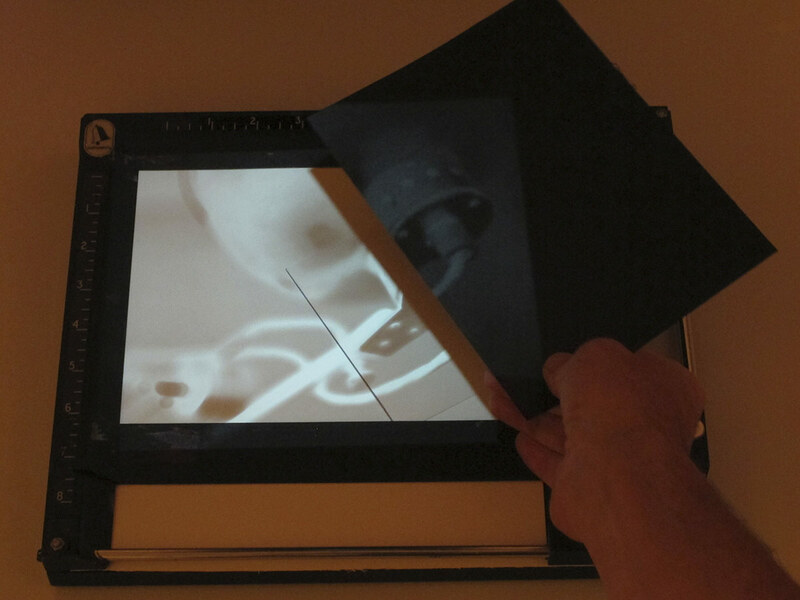 A wobbly enlarger will give you blurry prints and you don’t want spillages in the dark. I hope you give it a go, as having actual prints that you created yourself from your own negatives is very rewarding. 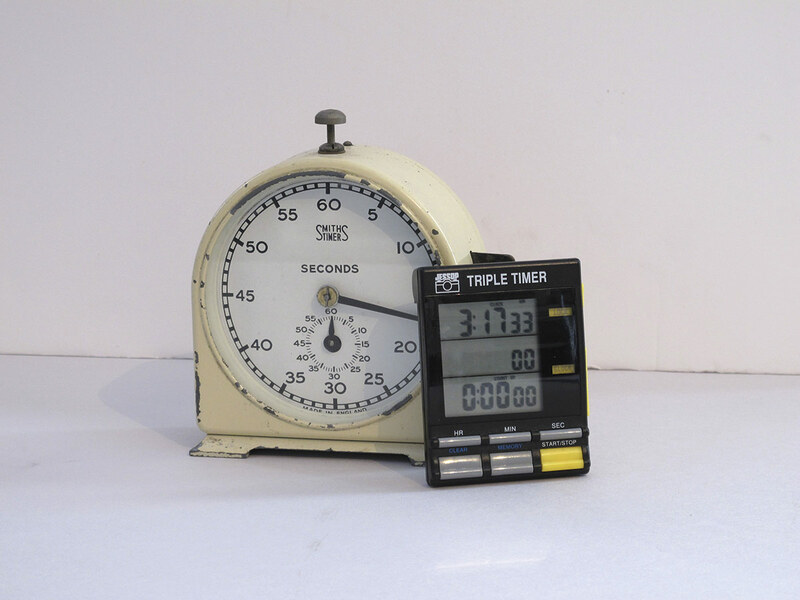 Once the chemicals have been measured out, place the negative in the enlarger carrier with the shiny side upwards and the numbers away from you. Set the enlarger at the correct height to give a projected image big enough for the chosen print size. Each time you alter the height, refocus the image. 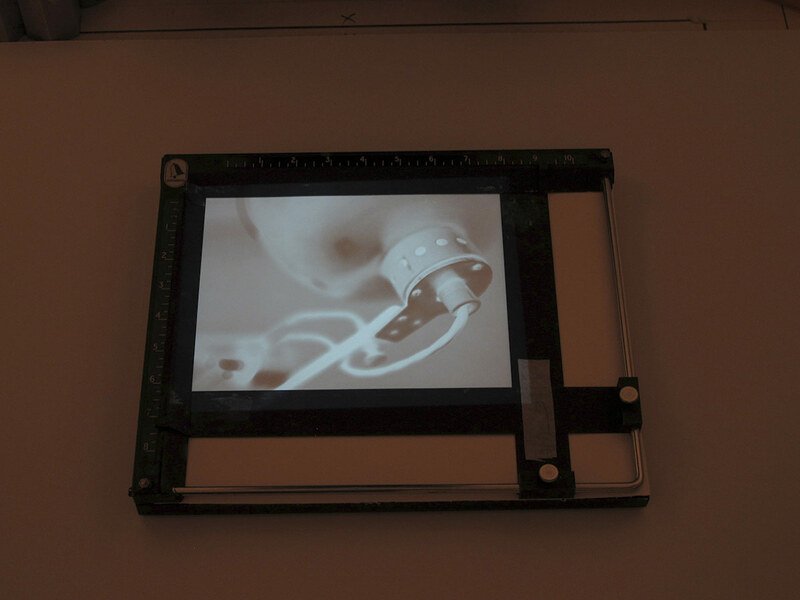 Turn on the enlarger and alter the aperture ring of the lens until the brightest image is projected onto the baseboard. Focus the image on the masking frame. Turn the lens’s aperture ring until you feel two clicks and see a slight darkening of the projected image. This should be 2 stops darker than the lens’s maximum aperture. Check for critical sharpness by using a focus finder if you have one, but remember to set it for your own eyesight first. Turn off the enlarger until ready for exposure. Now remove a sheet of paper and cut it up to use for test strips. You should be able to get roughly ten 10 x 5cm pieces from a 10 x 8in sheet. 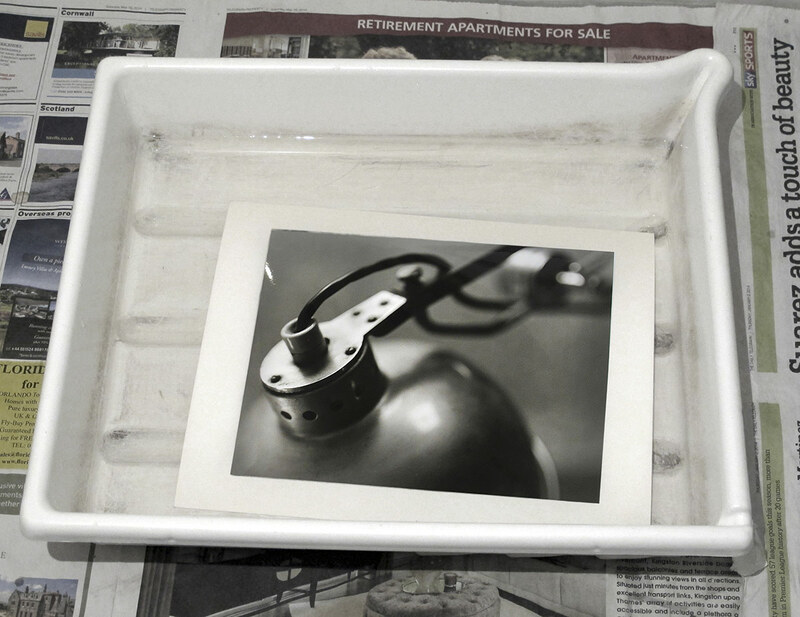 Place a Grade 2 filter into the enlarger, then place one of your cut pieces of paper on the masking frame. Expose for 5secs. Cover a 1cm strip of the paper with card and expose for another 5secs. Repeat until the last strip of paper has been exposed. Make sure you do not move the test paper as you move the card. Place the exposed paper into the tray of developer and gently rock the solution back and forth, trying to get the paper submerged all at the same time. Timing is important – 1min for RC paper, but this will need longer in cold conditions. Avoid poking the paper with tongs as this can leave marks on the image. Remove the paper from the developer after the allotted time and drain briefly. Slide the paper into the stop bath and gently rock the stop bath tray for 10secs. Remove, drain and slide it into a tray of fixer, gently rocking again (10secs for test strips, 1-2mins for finished prints). 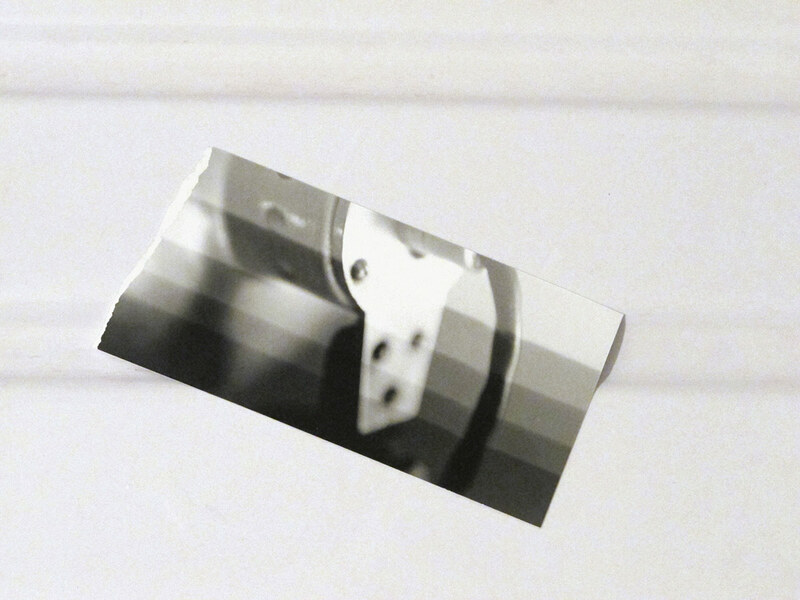 Remove the test from the fix and view by white light (make sure your box of unexposed paper is closed). Counting from the lightest end of the test in fives, look for the first exposure that looks correct, and this will be your exposure time for the full print. This method will produce good ‘beginner’ prints. When the correct exposure and contrast grade have been established, place a sheet in the masking frame and expose. Develop and stop as you did for the test, fix for 1min and wash for 5-10mins. Don’t leave prints in water for more than 30mins. Hang the fully washed print up to dry or lay it out on blotting paper.